Marcia Clark is a bestselling author and a criminal lawyer who began her career in law as a criminal defense attorney and went on to become a prosecutor in the Los Angeles District Attorney’s Office in 1981. She handled a number of high profile cases, including the prosecution of stalker/murderer Robert Bardo, whose conviction for the murder of actress Rebecca Schaeffer resulted in legislation that offered victims better protection from stalkers. She was lead prosecutor for the O.J. Simpson murder trial, and her book on the Simpson case, Without a Doubt (1997), became a #1 bestseller. Clark’s new crime fiction series centering on criminal defense attorney, Samantha Brinkman, debuted with the publication of Blood Defense (2016), a #1 Amazon bestseller, followed by Moral Defense (2016). She is also the author of four bestselling legal thrillers featuring prosecutor Rachel Knight: The Competition (2014), Killer Ambition (2013), Guilt by Degrees (2012), and Guilt by Association (2011). 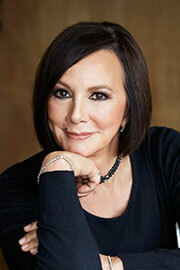 Marcia Clark gives lectures across the country on a variety of topics, including how celebrity and media attention continue to impact criminal cases, the gender bias of the media and the workplace, and the ways in which those attitudes are changing among the millennials.